It is ok to post about a bad (or good) experience with a business, but take great care. 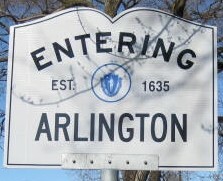 Arlington list subscribers are by and large just as interested in knowing about negative experiences with local businesses as about positive ones. However, a local business thrives on its good reputation, and it's all too easy for it to become tarnished. So please take great care in writing about a bad experience. Try to imagine what happened from the business's perspective, and take that into account in your story. Be sure of your motives. If you think others will truly be helped by your story, that's fine; but if you're just blowing off steam, maybe writing the message was sufficient and actually sending it isn't necessary. Remember that there are over a thousand members of the Arlington list, so what you say can really have an effect. Many local business owners are on the list, and it's of great value to the list that so many local busines owners care enough about what we think to take the time and effort to read and participate. Also realize that many people have likely dealt with the business and haven't had a problem. It is a statement of fact that you had a problem with the business, and that they did not, this is not a contradiction. To generalize and say because of your problem they must be horrible, but because of others not having problems they must be great, is an improper generalization.